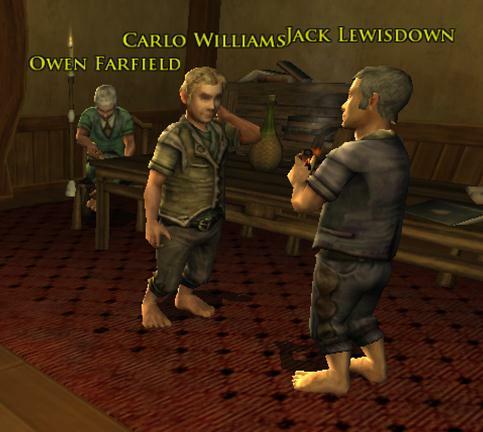 Way back in January, I did an interview for the Secrets of Middle-Earth podcast, which mainly targets players of the Lord of the Rings Online video game. The podcast host, Father Roderick, records the podcast while his character travels around the game world; he comments on the locations he visits and their place in Tolkien’s lore. I was asked to do an interview, just published on the SQPN website this week, for the podcast to discuss the Inklings, who are represented in one of the video game’s locations. We discussed Owen Barfield, Charles Williams, and C.S. Lewis, and their relationship with Tolkien. I just listened to the interview Tuesday, and it flows pretty well. They did a good job with the editing. Father Roderick was ill the day we recorded, so his associates Laura Berkholtz and Dave Kale handled the interview. These folks later connected me with Corey Olsen and got me into the ongoing Silmarillion seminar you can listen to at the Tolkien Professor website. If you’re interested in Tolkien, Lewis, or the other members of the Inklings, you’d probably enjoy the podcast. Check it out! This entry was posted in Books, Culture and tagged C.S. Lewis, Inklings, LOTRO, Tolkien. Bookmark the permalink. 1 Response to Inklings Interview: Tolkien Converts Lewis, etc. Punggo, a very enjoyable and informative interview. A hour well spent!